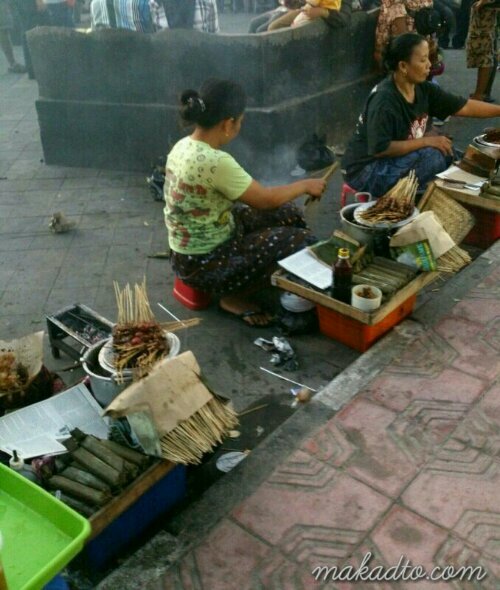 Looks like it’s a woman’s job to peddle sate on a chosen spot sitting almost at floor level beside their tiny grill. 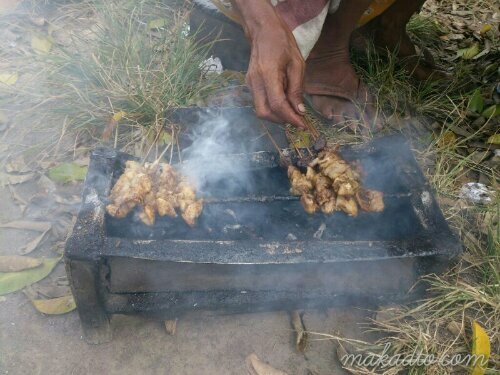 Portable tiny grill that’s fit for the tiny skewered meat. 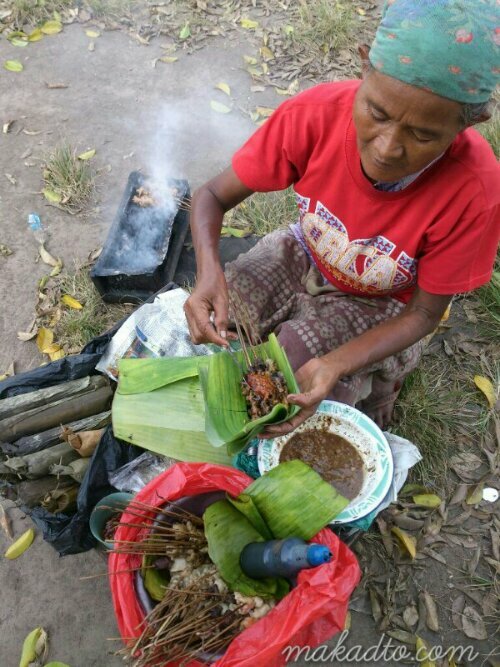 Banana leaf as sate plate. 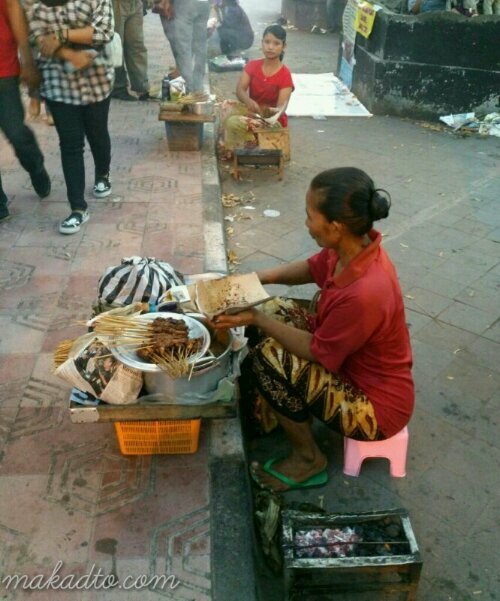 More sate ladies in the street.